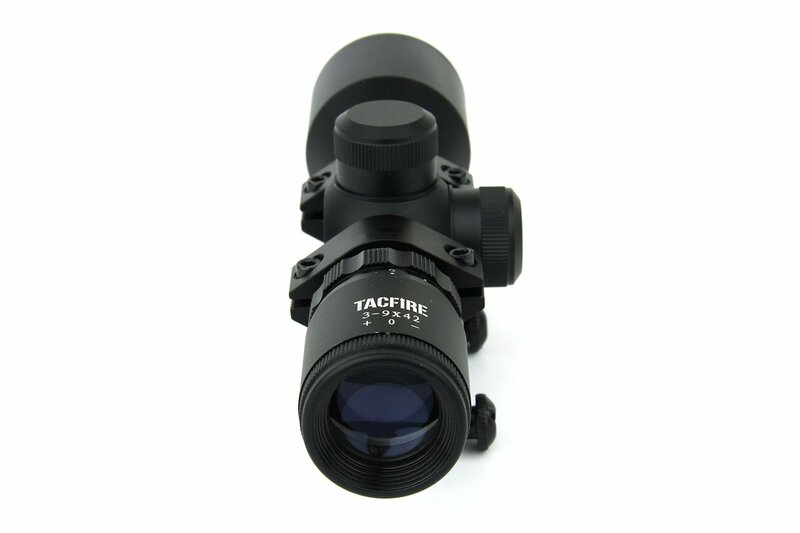 TacFire Official Product, 3-9×42 Crossbow scope with Multi-reticle is constructed of 1 cast piece of T6 6061 aircraft grade aluminum body, in Black finish. 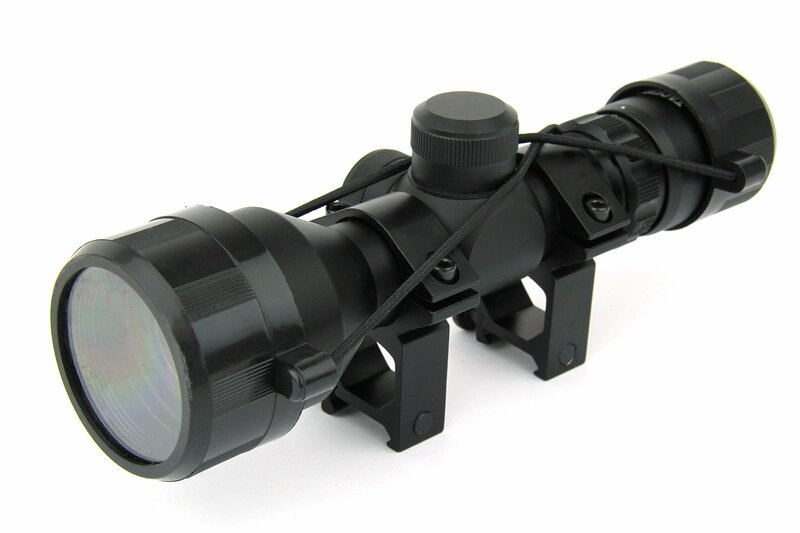 It’s fog proof, with shock resistant housing, nitrogen purged and O-ring sealed. 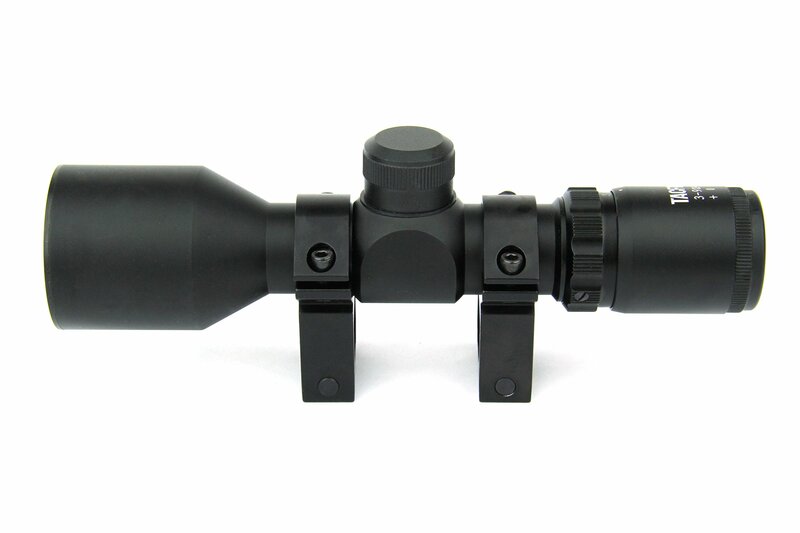 The lenses on this scope are multi-coated & scratch resistant for optimal gentle transfer, contrast & clarity. 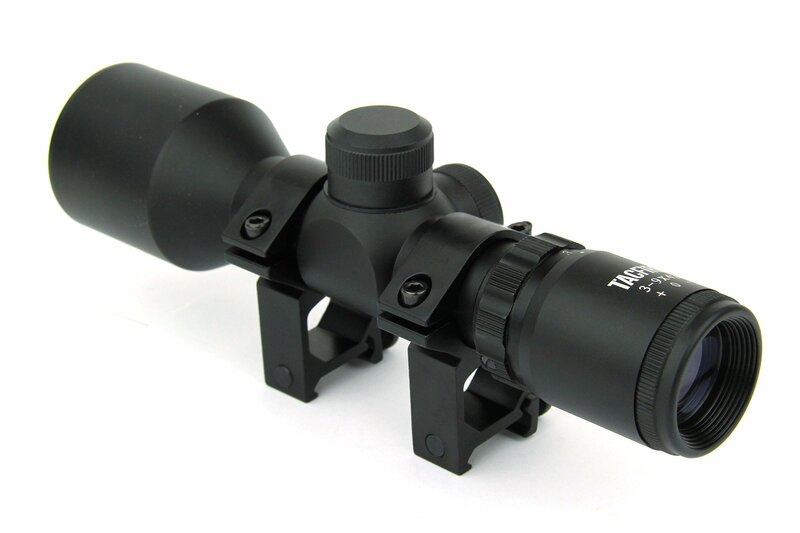 This scope enables fast aim at targets and distances often encountered. Features a set of rings.